Retail Properties For Lease | Pemco Group Inc. The property is located at a signalized corner on busy East Genesee Street in Dewitt, across the street and just down a few hundred yards from Wegmans Grocery store and plaza. The property has two different entrances ways for easy access, plentiful parking, and its beautifully maintained and landscaped. High traffic counts, tremendous visibility, seconds from 481 on/off ramps that quickly connect to I-81, Route 690, and NYS Thruway....this property has it all. 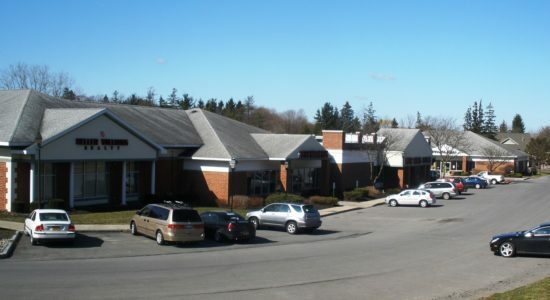 Excellent high traffic location on East Genesee Street, located in the middle of a busy retail area. Just down the road from Wegman's and I-690. High average HH income and large population within a five mile radius. Tenants include: Five Star Urgent Car, Tompkins Trust Company, Berkshire Hathaway, and Peter Harris Clothes. North Plaza Retail Center. 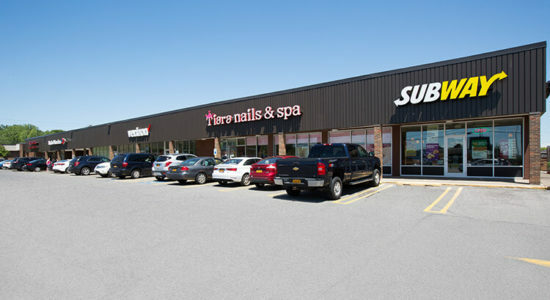 Tenants include Subway, Bank of America, Tiara Nails, Real Deals Dollar Store, Pace CNY, and Vision Works. 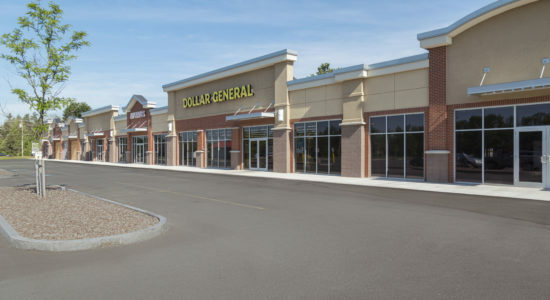 Convenient access to major highways, Located in the North Syracuse market. 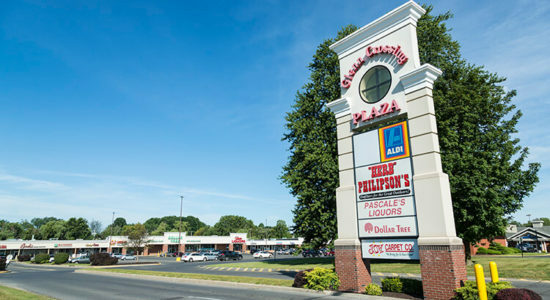 Plaza is located next to Delta Sonic Car Wash. Highly visible shopping center from Rt 57 (Oswego Rd) in the largely populated Liverpool, NY area. Glenn Crossing is one mile away from the NYS Thruway and is close to major highways and the Syracuse area. High density population and traffic counts of 29,000+ cars per day. Amenities includes a Bus Line, Pylon Sign, Freeway Visibility, and Building Signage. • Excellent location and good accessibility to Route 481, Route 690 Fayetteville and Erie Boulevard. Neighborhood Retail Center with 250 plus car parking, excellent visibility and high daily traffic count. Tenants include Dollar General, ARC of Onondaga and NY Nails. New exterior renovations just completed! Located in the Eastern Suburbs of Syracuse in a high density residential and business area.